$1,687 off MSRP! 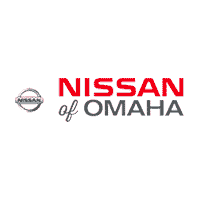 124/99 City/Highway MPG 124/99 City/Highway MPG 2019 Nissan Leaf SL Electric FWD Scarlet Since opening our doors, Nissan of Omaha has kept a firm commitment to our customers. We are conveniently located at 17410 Burt Street Omaha, Ne. 68118. Please feel free to stop in or call us at 402-493-4000. We offer a wide selection of vehicles and hope to make the car buying process as quick and hassle free as possible. We proudly serve Elkhorn, Bennington, Millard, Papillion, Bellevue, Council Bluffs and surrounding areas. $1,602 off MSRP! 124/99 City/Highway MPG 124/99 City/Highway MPG 2019 Nissan Leaf SL Electric FWD Super Black Since opening our doors, Nissan of Omaha has kept a firm commitment to our customers. We are conveniently located at 17410 Burt Street Omaha, Ne. 68118. Please feel free to stop in or call us at 402-493-4000. We offer a wide selection of vehicles and hope to make the car buying process as quick and hassle free as possible. We proudly serve Elkhorn, Bennington, Millard, Papillion, Bellevue, Council Bluffs and surrounding areas. $1,793 off MSRP! 124/99 City/Highway MPG 124/99 City/Highway MPG 2019 Nissan Leaf SV Electric FWD White / Black Since opening our doors, Nissan of Omaha has kept a firm commitment to our customers. We are conveniently located at 17410 Burt Street Omaha, Ne. 68118. Please feel free to stop in or call us at 402-493-4000. We offer a wide selection of vehicles and hope to make the car buying process as quick and hassle free as possible. We proudly serve Elkhorn, Bennington, Millard, Papillion, Bellevue, Council Bluffs and surrounding areas. 124/99 City/Highway MPG 124/99 City/Highway MPG 2019 Nissan Leaf SL Electric FWD White / Black Since opening our doors, Nissan of Omaha has kept a firm commitment to our customers. We are conveniently located at 17410 Burt Street Omaha, Ne. 68118. Please feel free to stop in or call us at 402-493-4000. We offer a wide selection of vehicles and hope to make the car buying process as quick and hassle free as possible. We proudly serve Elkhorn, Bennington, Millard, Papillion, Bellevue, Council Bluffs and surrounding areas. 124/99 City/Highway MPG 124/99 City/Highway MPG 2019 Nissan Leaf SV Electric FWD White / Black Since opening our doors, Nissan of Omaha has kept a firm commitment to our customers. We are conveniently located at 17410 Burt Street Omaha, Ne. 68118. Please feel free to stop in or call us at 402-493-4000. We offer a wide selection of vehicles and hope to make the car buying process as quick and hassle free as possible. We proudly serve Elkhorn, Bennington, Millard, Papillion, Bellevue, Council Bluffs and surrounding areas. 2019 Nissan Leaf S Electric FWD Glacier White Since opening our doors, Nissan of Omaha has kept a firm commitment to our customers. We are conveniently located at 17410 Burt Street Omaha, Ne. 68118. Please feel free to stop in or call us at 402-493-4000. We offer a wide selection of vehicles and hope to make the car buying process as quick and hassle free as possible. We proudly serve Elkhorn, Bennington, Millard, Papillion, Bellevue, Council Bluffs and surrounding areas. 2019 Nissan Leaf S Electric FWD Super Black Since opening our doors, Nissan of Omaha has kept a firm commitment to our customers. We are conveniently located at 17410 Burt Street Omaha, Ne. 68118. Please feel free to stop in or call us at 402-493-4000. We offer a wide selection of vehicles and hope to make the car buying process as quick and hassle free as possible. We proudly serve Elkhorn, Bennington, Millard, Papillion, Bellevue, Council Bluffs and surrounding areas.